Rory Kennedy’s Academy Award nominated documentary opens with American Captain Stuart Herrington remarking, “The burning question. Who goes and who stays?” When it went bad, Herrington took his South Vietnamese friends out surreptitiously (Americans were not allowed to bring South Vietnamese out without authorization), but he explains, as do others, that after the Paris Accords, the presumption of most in-country Americans was that peace was at hand, and the Americans would be in South Vietnam for a long time. 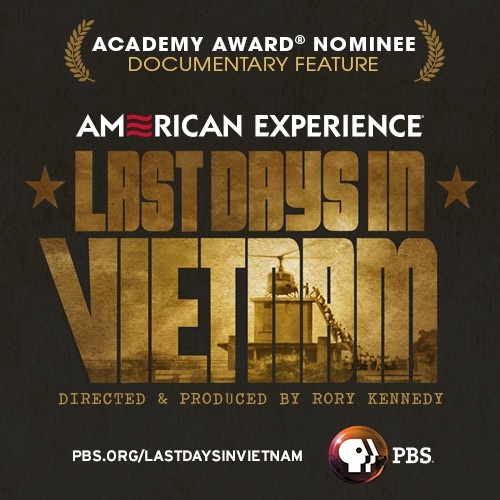 This film shows the feel on the ground for the last denizens of Saigon, while adding insight on a geopolitical level. For example, the North Vietnamese took very seriously the threat of Nixon bringing back American air power after execution of the accords – as one interviewee states, the North Vietnamese thought Nixon was a madman – but after Watergate, they were emboldened. “Overnight, everything changed. Hanoi suddenly saw the road to Saigon as being open.” With 16 divisions bearing down on Saigon, Herrington recounts how Ambassador Graham Martin wouldn’t countenance plans for evacuation because it was defeatist and he feared a panic (Martin is a tragic figure who had lost his only son in combat in Vietnam, and while he is criticized, he saved hundreds of South Vietnamese by refusing to leave the embassy until more civilians were evacuated). At that time, there were 6,000 Americans still in country, and Martin held firm even after he returned to the United States to watch President Ford’s $722 million request for an evacuation voted down. At this juncture, embassy staff began to risk their careers to get South Vietnamese compatriots out in makeshift airlifts to the Philippines, and at the very end, in any other way they could find. Their stories are harrowing. There is no political agenda here. It is fundamentally a human story on every level. One Vietnamese evacuee recalls his father, a pilot in the South Vietnamese, picking his family in a Chinook and heading out to sea (“when I heard the Chinook, I knew my Dad was coming to get me”). When it couldn’t land on an American vessel, the occupants jumped out to be fished from the sea. Much of the footage is simply jaw-dropping. A scene of a modern World Airways passenger jet taking off with its on-board stairs lowered, hustling panicked South Vietnamese on as it hurtles down the runway, is just one example. Another is footage of the bus pick-up points (Americans knew when to go to them; the code was the playing of “White Christmas” on the radio”) as South Vietnamese press the buses for entry to helicopter evacuations, one of the last options available after the North Vietnamese closed down the airport with artillery fire. Or the American naval vessels that became deposit points for South Vietnamese helicopter pilots, who had flown from their air bases to pick up their families and then headed to sea hoping for the best. The ships could only accommodate one helicopter at a time, so when one landed, and its passengers disembarked, the crewmen pushed it over the side to make room for the next. Meticulous, moving and rich, this is a must see.